Ground Clearance - 8 ft 5 in. Overall Length W/Bucket - 12 ft 2 in. Width Over Tires - 5 ft. 3 in. Rated Operating Capacity - 1950 lb. Dump Height - 7 ft. 5 in. Dump Reach - 3 ft. 2 in. 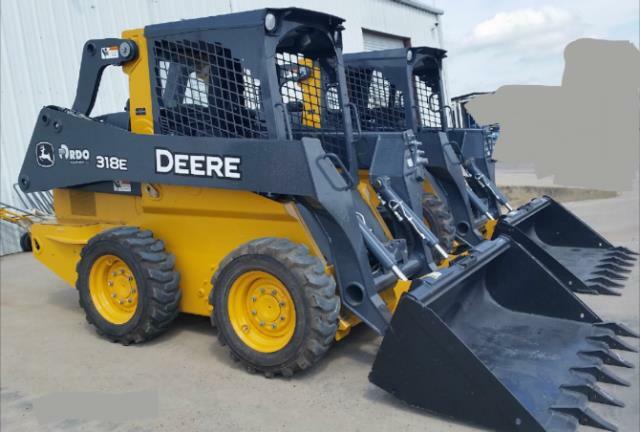 * Please call us for any questions on our loader skid john deere 318e rentals in Terrell, Rockwall, Gun Barrel City and Central Texas.